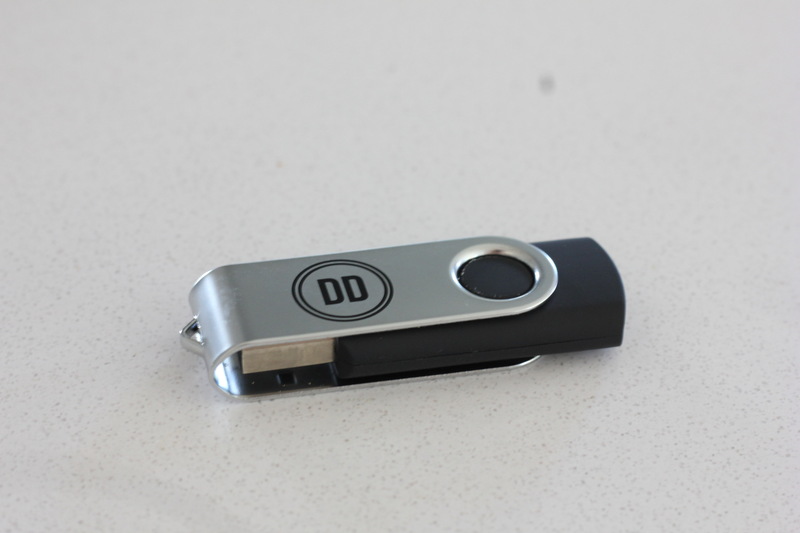 Enlarge / The information contained on this Defense Distributed USB drive has been sparking quite a bit of legal action over the last year. Last week, the legal drama surrounding 3D-printed gun files and firearms tech company Defense Distributed seemed near the finish line. A judge had newly ruled that a federal court in Texas lacked jurisdiction to decide whether a new New Jersey “ghost gun” law was unconstitutional in Defense Distributed v. Grewal. And a previous, separate effort from 19 states and the District of Columbia to keep the gun files offline, State of Washington v. Department of State, continued to sit in limbo as it had for months. Nothing happened in the case since the fall when the defense wanted to stay (or pause) the whole thing. The defense claimed rule changes were coming at the State Department within the next four months, and those tweaks would make Washington irrelevant. But this week, two new and unexpected court filings have set the table for yet another round in this ongoing courtroom saga. In one motion, the judge in Washington v. State has decided the case won’t wait any longer and can move forward. And in the other filing, Grewal may now get a sequel situated in the state of New Jersey, as Defense Distributed has submitted a fresh legal complaint against New Jersey Attorney General Gurbir Grewal. The company did so after a website that hosted DD’s gun files received a corresponding takedown notice from New Jersey. The last major action in Washington came toward the end of 2018 when the defendants filed a motion to pause everything for four months while the State Department considered new rules that it argued would “directly bear on this case.” Washington et al. pursued this legal action initially because they believed that, when the Department of Justice settled its five-year legal battle with Defense Distributed in July 2018 and allowed the CAD files in question to be re-posted, that action violated the Constitution. But in a November 2018 filing, government lawyers for the defense explained that rule changes being considered by the State Department would make any legal conflicts in Washington moot. Today, however, US District Judge Robert Lasnik denied the Department of State’s motion to stay the case, meaning the case will move forward for now. In his filing with the decision, Judge Lasnik indicated the defendants simply did not provide enough proof that impactful rule changes were imminent. Washington‘s origins can be traced back to Defense Distributed’s initial legal battle (PDF) with the Department of State, which started in 2013 and centered on export laws (specifically the International Traffic in Arms Regulations, or ITAR). In essence, Defense Distributed was accused of violating American export law. Domestic publication of the files was not at issue, but the chance of those files landing in the hands of a foreign entity sparked the feds to act. Defense Distributed initially removed the information from its site, fearful of facing criminal prosecution or a lawsuit. The two sides settled last summer when the feds essentially agreed to change the relevant export laws. Defense Distributed would be allowed to publish, the DOJ would pay $40,000 of DD’s legal fees, and the case would be over. The Second Amendment Foundation announced the settlement on July 10, 2018. Defense Distributed announced that it would be putting the files back online on August 1, though it hit “publish” earlier than that. The situation sparked Washington (and ultimately 18 other states plus the District of Columbia) to ask a federal judge for a temporary restraining order (TRO) preventing the publishing of said files. The states argued that allowing Defense Distributed to release the files violated both the 10th Amendment (which allows states to regulate activity not specifically described in the Constitution) and federal administrative law. If Americans could access these files and make anonymous, untraceable weapons, the states argued, they would be circumventing state-level firearms laws that restricted access to guns. Washington v. Department of State began in the fall, and Judge Lasnik agreed with the TRO argument. The judge concluded that, because the State Department did not formally notify Congress when it modified the United States Munitions List (allowing Defense Distributed to republish its CAD files), the previous legal settlement that Defense Distributed struck with the department was invalid. No other substantial rulings had been made since, as the case largely waited on both the defense’s motion to stay and the related, potential rule changes the State Department said would change the dynamics in Washington. Does anyone in the Cleveland area care about 3D-printed guns?